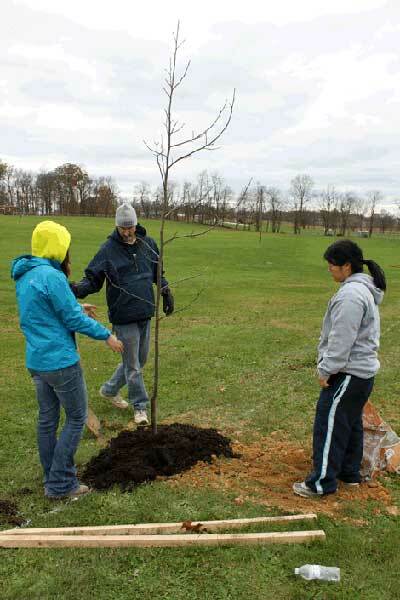 On Saturday, November 3rd, the staff of Jefferson County Parks and Recreation (JCPRC) and engaged community members came together to plant 12 native shade trees at Sam Michael’s Park. 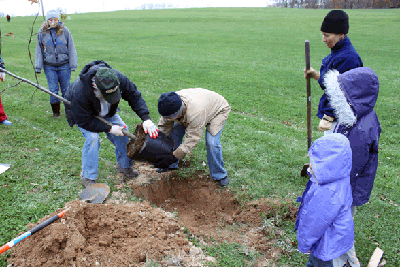 The cool and damp weather did not stop the 27 volunteers who came out to plant the trees, which included Oaks, Maples, Sycamores, Sweet Gums, and Tulip Poplars. 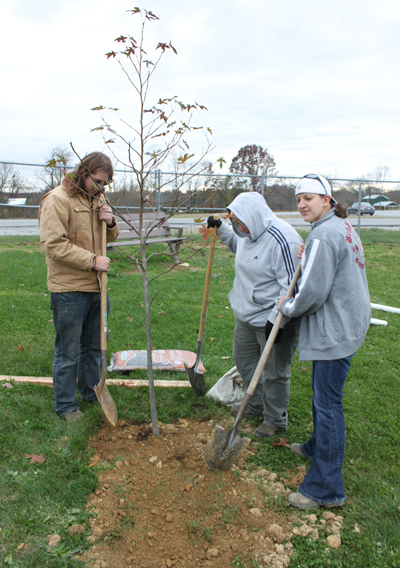 Along with dog park users, individual citizens and members from Shepherd University’s environmental program and Boy Scouts came to plant the 12 trees along the bottom fence in the dog park. 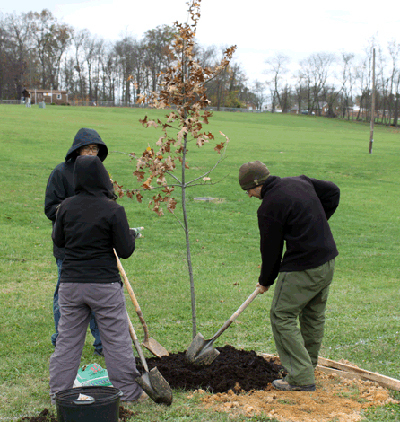 These trees, once mature, will provide critical shade for park visitors, offer food and habitat for wildlife, and reduce stormwater runoff pollution and soil erosion.